Salome Wambui and Peter Maina show us 2000m² of arable land on their farm nearby Gilgil in Rift Valley, Kenya. The two small-scale farmers are very experienced and grow the crops on their field mainly for their own use. Still, Salome Wambui and Peter Maina are able to generate a moderate income by the surplus produce. The farm is the family’s homestead, animal grazing and fodder growing area. They grow traditional and special variety vegetables such as amaranth, black nightshade, pumpkin, comfrey, spider weed, spinach, cabbages, tomatoes, coriander and kales. The farm land also has some sweet potatoes, Irish potatoes, maize, bananas, avocado tree, beans and peas. The climate in Rift Valley usually changes from cool to warm with a rain season. The soil on the new 2000m² field is a mixture of red volcanic ground and loam black cotton soils. 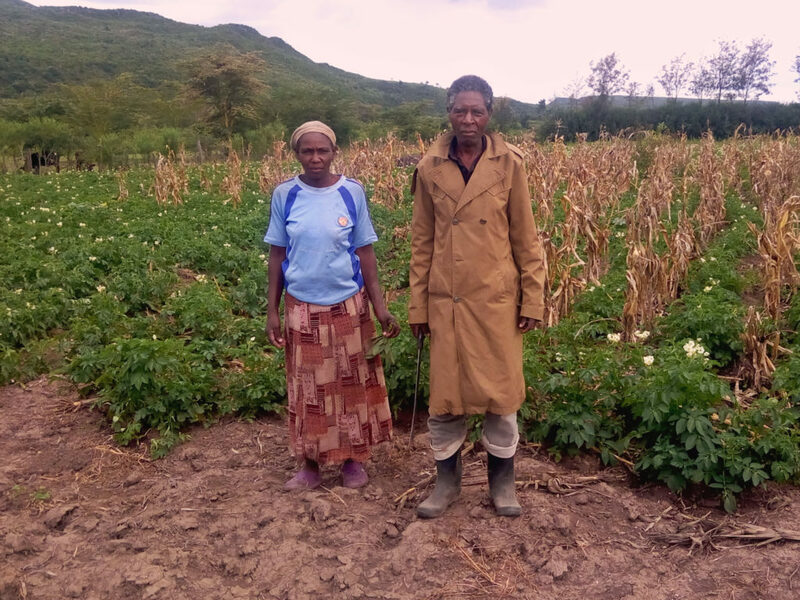 The local Seed Savers Network offers training for small-scale farmers in the area and provides the infrastructure to report directly from the new 2000m² field. In this video you can see the members of family Maina weeding and collecting seeds and manure. In their fields they cultivate many plants like maize, potatoes and beans. The video gives a good insight into the daily work!